This agreement between CustomChallengeCoins.com is a Binding Agreement. This agreement is all inclusive, in its entirety, between CustomChallengeCoins.com and each customer. For the purposes of this order entered into with CustomChallengeCoins.com , this binding agreement replaces and supersedes any and all other communication. All images and logos, to include copyrighted material, are property of their respective owners and will not be duplicated for any reason without the expressed written permission of the intellectual property owner. Imagery contained herein is for representative purposes only, and CustomChallengeCoins.com claims no ownership of any said trademarked or copyrighted material, nor does it imply, upon order placement and purchase from CustomChallengeCoins.com, a transfer of rights to you for the reproduction and/or use of any said trademarked or copyrighted material. CustomChallengeCoins.com does not guarantee or warrant the custom products we produce to be fit for any specific purpose, use, or event. In the unlikely event that a legal dispute arises, you agree that the exclusive jurisdiction and venue for any such legal dispute shall be Dare County, North Carolina, USA. You further agree to pay any damages incurred by CustomChallengeCoins.com, as well as reasonable attorney’s fees and costs. If the dispute pertains to the illegal use of trademarks, copyrights, designs or logos, you agree to defend the claim at your sole expense and hold CustomChallengeCoins.com free and harmless of any and all liability at your sole expense in any litigation, arbitration, hearing or any other legal proceeding. CustomChallengeCoins.com warranties its custom made Challenge Coins by offering to remake or replace any Challenge Coins that have been determined by our factory to have defects in manufacturing within thirty (30) days of the delivery date of your Challenge Coins. These defects are defined as those caused by manufacturing mistakes. CustomChallengeCoins.com requires written notice of claims of defects in your custom made Challenge Coins through email or written notification. Upon receipt CustomChallengeCoins.com will determine a course of action commensurate with our policy. If it is determined that a manufacturing error has occurred, your custom Challenge Coins will be re-manufactured at no cost to you. CustomChallengeCoins.com does not accept returns, nor provide refunds or exchanges for custom made products under any circumstances. Once an order has been placed, it cannot be changed or canceled. There are no exceptions. For the purposes of this agreement, an order is placed when the customer provides an affirmative reply to an order confirmation email, OR submits an order through our online order form. CustomChallengeCoins.com will not be responsible for spelling errors. It is the responsibility of each customer prior to approving the final proof for actual production to make sure the spelling of any text present is correct for their personal needs. We use the PMS universal color matching system for all color applications in manufacturing each of our custom Challenge Coins. It is important that you confirm the color usage with a PMS color chart rather than relying on your monitor’s display of the colors. Each computer monitor, due to varied settings, will display colors differently. All PMS colors used in the production of your custom product are listed on your digital proof for verification. It is the customer’s responsibility to verify the listed PMS colors suit their need and/or application. A PMS color chart can usually be located at your local print or fabric store for reference. Visit www.pantone.com for complete information regarding the PMS system. The size of your Challenge Coins refers to the absolute two widest points on any given product. Such size includes loops and other items that facilitate an attachment to a lapel pin, coin, medallion or key chain. Payment for all orders is required, in full, in advance for all custom orders. Payment is accepted via major credit cards to include VISA, MasterCard, American Express, Discover and United States Government Purchase Cards. 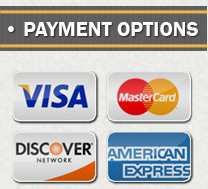 The charges for the total amount of your order will be applied prior to manufacturing and show as “www.CustomChallengeCoins.com” on your card billing statement. We also accept payment by check. **We do not accept Purchase Orders under any circumstances for custom made products. CustomChallengeCoins.com does not accept returns, nor provide refunds or exchanges for custom made Challenge Coins under any circumstances. Your custom made products were crafted from costly raw materials and manufactured to your individual specifications. These products cannot be restocked or sold to another party at a later date. However, we do stand behind our products to be free of defects. As explained earlier in this agreement, we will replace at no cost to you any products found to be defective due to a factory manufacturing mistake. We require all defective coins be returned to us to exercise this option. All orders will be placed through our online order form, OR confirmed via a confirmation email if a customer processes an order over the telephone. A confirmation email will contain all the details of the order to include; the proof number, size, metal plating, quantity, special attachments, final cost, and shipping address. The chosen digital proof will also be attached to said confirmation email. Our online order form is in place for your convenience. All the details of your order are entered into the order form by you, to include payment. It is the customer’s responsibility to make sure the information is accurate before submitting the order. Once an order is submitted through the online order form, no changes or cancellations can be made. Within several minutes of receiving a reply to an order confirmation email, that order is placed into actual production. Due to the speed we deliver our products and allotment of raw materials for each order, once an order has been confirmed via email or online order form, and therefore placed, it cannot be canceled or changed. CustomChallengeCoins.com will manufacture your custom made Challenge Coins within 10 business days, and often does so much sooner. Business days do not include weekends, domestic (US) holidays, or those holidays observed by our manufacturing source overseas. “Special Options” include orders over 500 pieces and special order coin options (dual plating, engraving, epoxy, etc), which may require additional time as quoted. All custom orders are shipped via UPS International Express Saver (International Overnight) unless otherwise specified at no charge to the customer. Shipping our products to any country or territory outside of the United States will incur an additional charge. Due to the use of third party shippers (UPS and USPS), under no circumstances does CustomChallengeCoins.com guarantee delivery dates or times for custom products. CustomChallengeCoins.com has no control over third party shipping errors or delays. We are also not responsible for shipping delays caused by International, United States Customs, or backlogs created by overseas manufacturing sources due to Customs procedures. Therefore, CustomChallengeCoins.com does not, under any circumstances, guarantee delivery dates of any products. There are no exceptions. When we receive imagery or instructions from you that includes registered trademarks, copyrighted material, or registered trademark logos, you certify and warrant that you have the legal right or have obtained a legal and binding license agreement to use and/or reproduce such trademarked or copyrighted material. Furthermore, you also warrant that your use of said trademarked or copyrighted material does not violate any person or entity’s intellectual property rights by using said trademarked or copyrighted material. You shall hold CustomChallengeCoins.com harmless and free from any liability or any claims made by any individual, entity or company.